In this series, we’ve examined the common LDS understanding of prophets, as compared with scriptural teachings. God calls and speaks to whomever he will when he wants His message delivered. There is no office, credential, position, or authority required, other than God’s word to one whom He has chosen. The message is the authority. Prophecy, seership, and revelation are spiritual gifts, not church offices. The church cannot “ordain” a man as prophet. Christ told us specifically to know true prophets by their fruits. If there are no fruits, there are no prophets. A message from God is identified as coming from God. We cannot claim something came from God simply because a particular man spoke it. God’s messengers clearly state the origin of the message. Those called prophets in the LDS church exhibit no prophetic gifts, but rather live and function as wealthy, celebrity rulers over an earthly kingdom we call a church. True messengers are almost never recognized and heeded, but rather are persecuted, cast out, and often killed. This pattern has persisted as long as mankind has been on this earth. The LDS leaders and members make the unscriptural claim that it is utterly impossible for them to lead us astray, even though every prior dispensation was led astray and degenerated into apostasy. Somehow, we’re supposedly immune to this constant pattern of human religious failing. Because we’re special. Or chosen. Or something. Yet our scriptures plainly state that the church was under condemnation by 1832; that the Fulness of the Priesthood was taken from the church by 1841, and the conditions for its return were never met. It remains lost today. But God has indeed followed the prophetic pattern again in our day, to begin restoring what was lost with the death of Joseph Smith. The Lord has sent a man named Denver Snuffer to deliver a message. True to the prophetic pattern, the message has been rejected by those who claim they cannot be deceived, and the messenger has been cast out. WHY do otherwise intelligent LDS people insist on “following” men, and calling them prophets, in light of everything discussed so far in this series? Why do they refuse to recognize or admit what is plainly obvious to anyone who cares to study the matter out in scripture? And why has the “follow the prophet” doctrine become elevated above every other teaching or practice in the LDS church, to the point that it’s the only doctrine left and the one that will get you excommunicated if you disagree? LUCIFER: What do you want? LUCIFER: Oh, you want someone to preach to you. You want religion, do you? There will be many willing to preach to you the philosophies of men, mingled with scripture. And there, in this brief exchange, lies the crux of the question. Behind door number one, we’re offered the philosophies of men, mingled with scripture. Behind door number two we’re offered true messengers, sent from God. Adam chose door number two, and he got true messengers. And so we’re back to the question: Why? Why do we tend to adore false messengers and shun true ones? Why will some angrily shout that they KNOW a man who has never prophesied—is a prophet? When Christ’s followers argued about who should be the greatest, our Lord reminded them that the Gentiles sought to rule and be ruled. In fact, the Gentiles even went so far as to call “they that exercise authority upon them” benefactors. The Gentiles not only wanted rulers to rule over them, but they actually honored and praised their rulers. Why? Because they WANTED to be ruled. It’s as if they said, “Please, tell us what to do! Make our decisions for us! Exercise lordship over us! Give us rules to follow! Command us in all things.” (D&C 58:26-27) Although that sounds harsh, and even foolish, this was exactly the case, and not just for the Gentiles. In fact, this condition is nearly universal among ALL of us fallen mortals. Monarchy was the most common form of government on earth until the 19th century, and since then we’ve just swapped it for a panoply of “elected officials” who, for the most part, seek after power and gain by exercising authority over the rest of us. Some don’t even bother pretending to follow the constitution anymore. Hence the saying that when it comes to elected office, anyone who actually wants the job should never be trusted with it. 1 And I, the Lord God, spake unto Moses, saying: That Satan, whom thou hast commanded in the name of mine Only Begotten, is the same which was from the beginning, and he came before me, saying—Behold, here am I, send me, I will be thy son, and I will redeem all mankind, that one soul shall not be lost, and surely I will do it; wherefore give me thine honor. 2 But, behold, my Beloved Son, which was my Beloved and Chosen from the beginning, said unto me—Father, thy will be done, and the glory be thine forever. 4 And he became Satan, yea, even the devil, the father of all lies, to deceive and to blind men, and to lead them captive at his will, even as many as would not hearken unto my voice. As you can see, Satan proposed to redeem all mankind on the condition that he receive the Father’s honor and power. Or in other words, he sought the right to rule over the human family. And he proposed to do it by destroying our agency. Even now, in his fallen state, he seeks to captivate all men to do his will, which they do by ignoring the voice of God. Satan cannot enforce his rule by coercive power, so he seeks to do so by enticement, pretending to be the God of this world, and even wearing the emblems of his pretended power and priesthoods in the endowment presentation. Prior to his eviction from on high, Satan managed to convert a part of the hosts of heaven to his way of thinking. There were actually a good number of those who stood in the presence of God who thought Satan’s approach was better, with its no-loss guarantee, because of its no-agency stipulation. I believe Satan was successful in convincing many because of fear. Without guarantees of success in place, some would be lost. I believe many feared to face this possibility, and so sided with Satan. I believe the rest of us, though still fearful, sided with Christ and came here to try. That fear yet persists in nearly all of us. Hearing the voice of a man speaking banal platitudes is easy. Hearing and hearkening to the voice of the Lord is difficult. Man's voice is offered to you, even forced upon you, because men rule by force. The Lord's voice, however, must be humbly sought. He never compels belief. The Book of Mormon—the most correct of any book on Earth—has much to say on the topic of rulers. In fact, I was planning to quote some items here, but the ruler theme is SO prevalent that I simply don’t have space to quote all that is relevant. Upon arriving in the promised land, after fleeing the destruction of Jerusalem under a wicked king Zedekiah (Jer. 52:2), the Nephite group soon asked Nephi to be their king. Within a few generations, the Nephites were largely destroyed (Omni 1:5) and in complete apostasy (Omni 1:11). Upon arriving in the promised land, after fleeing great destruction brought about by apostasy, the Jaredites asked for a king, which the Brother of Jared said surely “leadeth into captivity.” (Ether 6:22-23) They got their king, and they got their captivity. (Ether 7:5). Other rulers in the Book of Mormon provide similarly disastrous results (Noah, anybody?). And yet, even late in the Nephite history, a group called “king-men” who “were in favor of kings” because they “were those of high birth, and they sought to be kings” nearly proved the entire destruction of the Nephite civilization. Again. 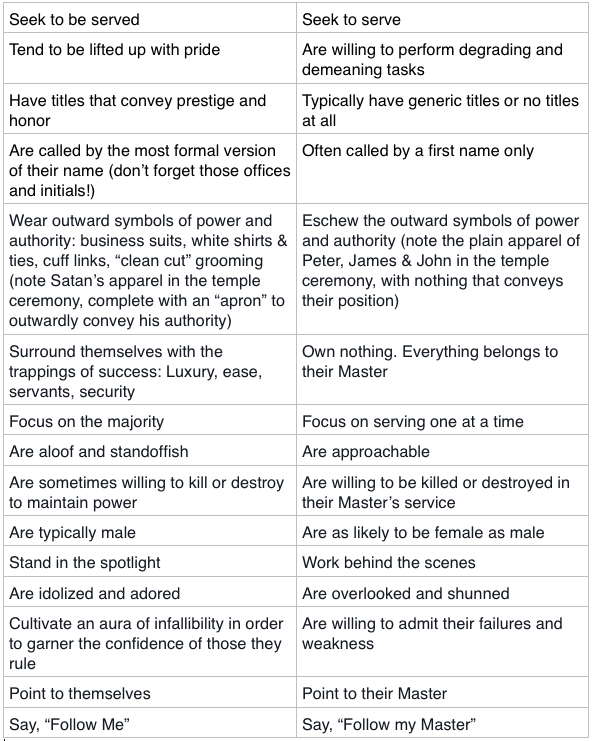 “They were supported by those who sought power and authority over the people.” (Alma 51:8) Fact is, when men lust for power and authority, destruction is always the result. Maybe this is why Jacob warned us that “this land shall be a land of liberty unto the Gentiles, and there shall be no kings upon the land…For he that raiseth up a king against me shall perish, for I, the Lord, the king of heaven, will be their king.” (2 Nephi 10:11-14) Too bad so few listened to Jacob, right? But this is all kind of silly when you think about it, because those Book of Mormon prophets sure wasted a lot of time and gold plate space warning us about kings, when we don’t have any. Right? Why would they do that? Let's think about it. They were NOT writing to the Nephites. They wrote to us. Moroni saw our day (Mormon 8:35) and sought “that ye may learn to be more wise than we have been.” (Mormon 9:31) The continual warnings about our rulers are NOT there by mistake. Indeed, Mosiah warned us about kings saying “it is not expedient that such abominations should come upon you” (Mosiah 29:24). Abominations are sins that are justified and enforced by false religious belief. Ask King Noah's people how that worked out for them. The warnings are not about our political rulers. They are about our religious rulers who seek “power and authority over the people” (Alma 51:8) because, as Joseph Smith reminds us from prison, “No power or influence can or ought to be maintained by virtue of the priesthood.” Period. (D&C 121:41). And now, here’s the decision you must make. When you own up to your agency, stop following Satan, and seek to act, rather than be acted upon, you’ll have to choose who to believe. Just like Adam, you will encounter many willing to preach to you the philosophies of men, mingled with scripture. And, if you ask for them like Adam, there will also be true messengers, bearing a message from the Lord. You MUST discern for yourself the difference. You cannot rely on a man's office or title to make him a true messenger. Rulers are very different than servants, and that difference ought to be obvious to us. Christ came to serve. Others sought to rule. It was the religious rulers who rejected and killed the Lord. 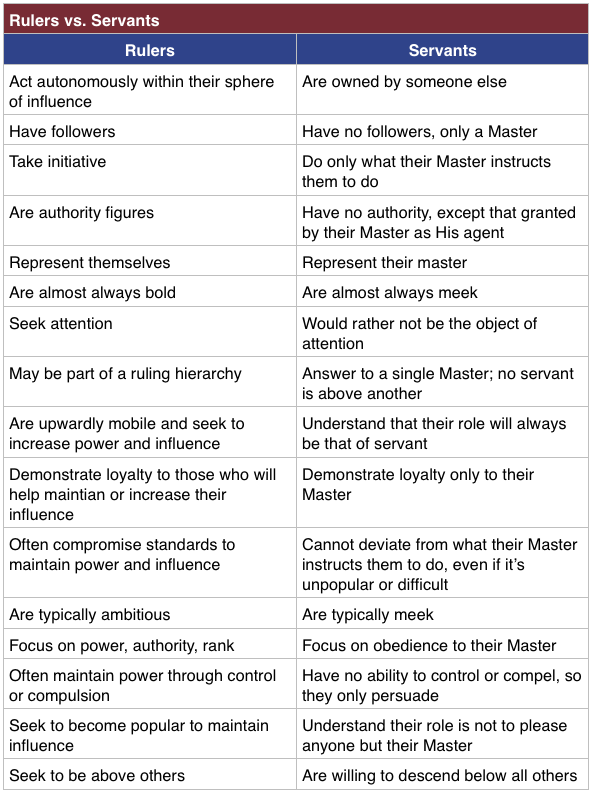 Can you see the difference between a ruler and a servant? You cannot be loyal to Christ as your king while swearing an oath of allegiance to a man—particularly when that man claims to have a set of priesthood “keys” by which he can save or damn you, thus usurping Christ’s role of Savior as his own. Any man who makes such a claim is a false Christ, and may deceive many. Got it. Men screw up continually; the Lord doesn’t. Wait, what? A man’s priorities? What about the Lord’s priorities? Didn’t you just say man's ways are not the Lord's ways? So…this is like swearing an oath to be bound by a man? Does that make him…our ruler? 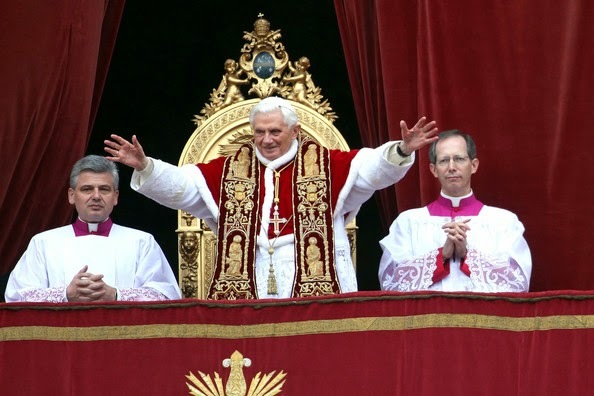 In the Roman Catholic church, the Pope is in fact a genuine, political king, complete with a sovereign kingdom. The cardinals are called “The Princes of the Church.” While I can’t agree with making men religious rulers, this approach is at least honest. They tell you what they are. When we are similarly honest in looking at the way we regard our LDS religious leaders, we not only treat them as rulers, but we go so far as to treat them as actual idols. General conference is just around the corner. Now that Elder Nelson has taught you of the oath-like commitment that binds you to the one you raise your arm to sustain, the question is, to whom will you make that oath? It is proposed that we sustain our Savior, Jesus Christ, the Son of God, as our sovereign Lord, God and King, putting His will above that of any other office, person or institution. All those in favor, please manifest it. No, you won't hear that. You'll be asked to make an oath to a man. Therefore, when the oath-like indication is asked of you, what will you do? If you are loyal to the Savior, but you refuse to swear an oath to a man—and you are then punished for your refusal—whose church is it? What does that tell you? This Easter Weekend at LDS General Conference, you’ll be given an opportunity to show your loyalty. You'll be expected to make an oath, binding you to a man who is your de-facto ruler. Are you in favor? Are you opposed? Heaven is watching, and more than you might realize, eternity hangs in the balance. Thank you! So well put! The sustaining happens in the Saturday afternoon session. Thanks for catching that. I've corrected it. Well said, Adrian. I'm reminded of an almost universally ignored statement by the Old Testament prophet Amos. In Amos 3:7 Amos rightly explains, "Surely the Lord God will do nothing, but he revealeth his secret unto his servants the prophets." The religion that Joseph Smith founded has used this scripture for nearly two hundred years as a logical foundation on which to claim divine direction of the church. Amos was called to cry repentance to the most prosperous Israel since the time of Solomon. A wicked king, Jeroboam II, ruled the land and decreed that the people worship a statue of a golden calf instead of Yahweh. Not surprisingly, Jeroboam was none too happy with Amos coming to the king's residence in Bethel to proclaim a choice between repentance or destruction. When the king's man, Amaziah, was sent to shoo Amos away, Amos made a remarkable statement found in Amos 7:14-15 that has echoes in our time: "Then answered Amos, and said to Amaziah, I was no prophet, neither was I a prophet's son; but I was an herdman, and a gatherer of sycamore fruit: And the Lord took me as I followed the flock, and the Lord said unto me, Go, prophesy unto my people Israel." In ancient Israel in all but a few cases, being a prophet was an occupation. Prophets lived and worked in groups, offering predictions and soothsaying to wealthy patrons such as the king. An apprentice to an established prophet was called the son of a prophet. Amos declared his independence from the prophetic tradition of his time in telling Amaziah that instead of a soothsayer he was a herdsman and a gatherer of sycamore fruit. The religion that Joseph Smith founded correctly claims that God reveals his will through messengers called prophets but turns around and ignores the rest of Amos' insight—that only those messengers personally called of God are actually prophets. Your entire series is refreshingly clear, Adrian, in exploring both the importance of prophets and the evidence or lack thereof for prophets in our time. We need true prophets as never before and for the same reasons as those who came before us—unless we choose to follow Jesus Christ as our ruler we will self-destruct in the process of following our fellow human beings as our rulers. 37 But let your communication be Yea, yea; Nay, nay; for whatsoever cometh of more than these is evil. The reference to Amos as a gatherer of Sycamore fruit intrigued me, so I looked up sycamore fruit on Wickepedia. The sycamore of the area of Palestine (and also Egypt and Southern Africa) is a type of edible fig, and was the "Tree of Life" of Egyptian tradition (possible relationship to Lehi's dream and the education of him and his family in Egyptian learning?). Also, that God called a prophet who (perhaps symbolically) was one who's vocation was the harvesting of fruit from the traditional "Tree of Life". This snippet from a 2013 LDS Patriarchal Blessing is by itself a valid reason to NOT sustain Thomas Monson. Patriarchs will obey him, so even if he claims he did not know about it he is responsible. Idolatry in the Bible is spoken of like adultery. It is not a minor sin. Wow Adrian. You nailed it. Claro. Very good post Adrian. It seems that the church is currently being lead into captivity both spiritually and temporally by false prophets who have set themselves up as a light unto the people and the church is beginning to dwindle in unbelief. 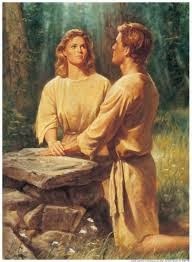 In the BoM the Lord said to the Nephites that if it be HIS church that HE would show forth HIS works in it. Those works would include miracles such as healings, speaking in tongues, prophesy, revelation, visions, the visitation of Angels etc. There doesn't appear to be any of those works in the church at the moment. Instead we get the works of men like shopping malls and are taught to put our trust in man and make flesh our arm. Also, how is it possible that the church has fifteen men who are sustained as seers when both Joseph Smith and the BoM plainly taught that what constituted a seer was someone who was in possession of the interpreters (seer stones, urim and thummin) and was commended to look into them? As far as I know, the angel Moroni took them when he collected the plates. How then can they be seers? Thank you so much for posting this! I really appreciate you providing information on ways to think about what's really going on. This ^^^ quote made me glad that I voted no in the last April conference. Since that time, I have been abstaining. I feel like an onlooker, not part of it anymore. I am an outsider because my beliefs no longer mesh with the correlated belief system, the bottom line of which is "Follow the prophet." We have SO lost the doctrine of every person connecting to heaven. No man saying, "Know ye the Lord," because everyone will know Him. as a latter day missionary, which i currently am. how would you advise somone in my situation to go about teaching. when i try to teach about the book of mormon with truth, i always get shuned and my companions always turn it around and say "dont worry, the prophet will never lead us astray." i dont agree with that and i never say i agree with that. but what would advise i do while i am out here trying to teach about the book of mormon and christ, and i get in trouble whenever i talk about truth? from what i have read here and what i have read from the book of mormon i have taken to god. i have prayed to know if the things i am reading are in fact true. i have recived my answer and know more truth now. i am growing closer to my god everyday as i study the book of mormon. thank you for your help and insight. I applaud you for your efforts and sacrifice to teach truth. In your situation, I realize there's little you can do about the "follow the prophet" focus. My best advice is to keep emphasizing that Jesus Christ is the Savior, not any man, and that the Book of Mormon will bring you closer to Christ than any other book. In the end, you may be forced to choose between obeying men and obeying God. I hope it doesn't come to that for you in your current situation, but the follow the prophet focus may make it unavoidable. Whatever comes your way, go to the Lord and obey Him only. This is the only way to safety and salvation. God bless you Elder or Sister, wherever you are. Just wondering- what exactly are Denver Snuffer's fruits that distinguish him from Monson and make him more like Peter or Joseph Smith? 'Thus saith Jesus Christ...' revelations, or perhaps newly translated ancient scripture ie the promised Book of the Lamb? Instant healings and raising the dead? Glowing like Nephi and Abinadi? Forgive me if I'm lost but both look like false prophets to me and unlike One like Moses etc. In all this talk of modern prophets, Joseph Smith stands alone. Please, educate and elucidate. Don't tell me 'i know that DS is a prophet' as that is as bad as testimony meetings on 1st sunday at the Rameumpton. Denver has given a series of 10 lectures, delivering a message he claims he got directly from the Lord. It is a "thus saith the Lord" message. This is the fruit you should consider, study out, and take to the Lord. The post I linked above has links to the material, in both audio and written format. Keep in mind, this message comes from a man who claims to have met with the Lord face to face on numerous occasions, been tutored by angels, and received this message from heaven. If these claims are true and this message did indeed come from God, this is very much fits the prophetic pattern of Joseph Smith and all true prophets. I urge you to look into it and find out. I have followed Denver for as long as you have. He is no different than GA's rehashing what came before him- all he has done is EXPLAINING what JS wrote before. But so far as having any fruits, i ask u to consider my question carefully in regards to a comparison with other real prophets ie JS etc. There is nothing revelatory in the least about Denver's 10 talks. He has pulled the wool over your eyes. If you think his words are equivalent to the BoM or a vision ie Section 76, he has you fooled very easily. Has the most correct book got a prophecy about him? I wonder why not?! No miracles, no new scriptures = no prophet. I've written a lengthy series on what defines a prophet. Denver qualifies in every particular. He has exhibited the gift of prophecy by relaying a message directly from God. He has exhibited the gift of seership by receiving visions and sharing them publicly. He has exhibited the gift of revelation by revealing previously unknown truths, including the path that leads to receiving visitation of the Lord for yourself. There are numerous examples of the above in Denver's writings. I don't hear other voices reminding us of the restoration, defending Joseph, and teaching what is missing to any degree that can compare with what Denver has accomplished in this prelude. I'm not sure where you got the idea that miracles are required. That's a different gift entirely. But you can set whatever standard and seek whatever signs you want before you will believe. The standard you have set is miracles and new scriptures. That may be your definition of a prophet, but it is not the scriptural definition. Show us a sign, and then we will believe. Were you endowed before 1990? Just curious. The pre-1990 endowment teaches something important about demanding miracles. I have no interesting in trying to convince you. 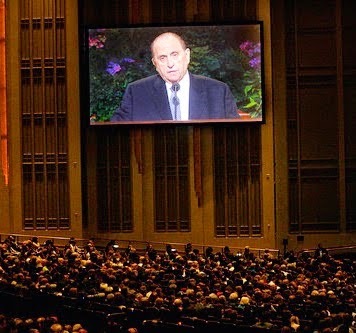 If you cannot perceive any difference between Denver's message and the typical general conference talk, then please feel free to move on and discard what I have written. Either way, I wish you love, light and truth in your journey.